Similar to the Rei Ayanami jigsaw puzzles released shortly after Evangelion 1.0, You Are (Not) Alone, in the wake of Evangelion 2.0 we have an Asuka jigsaw puzzle. 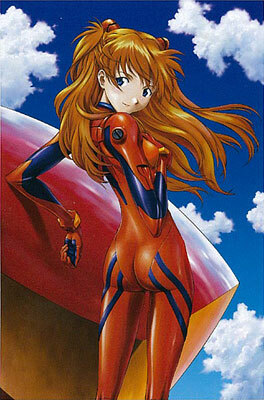 The Blue Sky image has Asuka wearing her plugsuit leaning on what is supposed to be her Evangelion against a blue sky background, and is illustrated by Fukano Youichi. The jigsaw puzzle is 1000 pieces, 50 × 75cm, and pre-orders are available through Rakuten for 2,198 円. The expected release date is mid November.